BECAUSE MARX AND ENGELS used their critique of the “utopian socialists” as a means to develop and refine their own theories, an examination of it might play an important role in unraveling some of the complexities of these theories. Unfortunately, due in part to their seemingly ambiguous and changing attitude toward utopianism—which Steven Lukes once characterized as an “anti-utopian utopianism”—their critique is not entirely clear (Lukes 155). As a result, it is open to—and has been given—a number of different readings. In this paper, I examine four existing readings and suggest a fifth. I argue that, while none of these readings is entirely satisfactory, a systematic examination that considers all of them together can provide some important insights into Marx and Engels’s ambiguous relationship both to the utopian socialists and to utopian thought more generally. Moreover, such a reading can help clarify their critique of bourgeois society and their views as to its possible alternatives. One of the difficulties in understanding the Marxist critique of the utopian socialists is that the utopian socialists do not form a natural class. Marx and Engels adopted the term, “utopian socialism,” from other writers who used it to refer indiscriminately to the ideas of Henri Saint-Simon, Charles Fourier, and Robert Owen (and sometimes to Etienne Cabet, as well), despite the fact that these men held many contradictory views and were mutually unsympathetic. Marx and Engels further muddied the waters by attempting to fit the utopian socialists into a classification scheme they developed to explain the history of socialist thought in terms of their own theory. According to this scheme, various socialists were grouped together on the basis of the supposed class origins of their ideas. Thus, there were various types of “reactionary socialists” whose ideas reflected a feudal worldview, “conservative socialists” whose ideas reflected the interests of the emerging bourgeoisie, and communists whose ideas reflected the posi¬tion of the proletariat (Marx and Engels, Communist Manifesto 491-99). Unfortunately, the utopian socialists did not fit comfortably into this scheme. Like the communists, the utopian socialists were progressives who wrote in opposition to the bourgeois order, however, writing too early in the modern period to understand the nature and role of the proletariat, they could only criticize the emerging bourgeois society on what Marx and Engels took to be highly questionable moral grounds. As a result, they failed to reflect clearly the interests of any class, but instead adopted ideas from a variety of classes including the proletariat, the bourgeoisie, and even some feudal classes. Consequently, it was difficult for Marx and Engels to apply just one of their standard criticisms to the utopian socialists and, thus, their critique was somewhat confused. Insofar as they shared anything in common, the utopian socialists could be described as theorists who combined “a rationalist faith in science with a radical critique of individualism” to argue that society should be radically reorganized to promote social harmony (Lichtheim 4). They did not empha¬size political activity (as that phrase is normally understood), but focused instead on devising plans to make society more cooperative, production more efficient, and distribution more fair (Cole 4-5). For example, to real¬ize their vision of social harmony, they proposed educational programs to strengthen various ‘socializing’ influences and to weaken competitive and individualistic attitudes and beliefs. In addition, they proposed a variety of changes involving such things as the public ownership of the land, the ration¬alization of industry, the end of class distinctions, and the redesign of cities and towns. They combined these proposals into internally consistent and tightly integrated visions of the ideal society. These proposals can be understood as arising from a single, generally- shared approach to political theory and practice consisting of three ele¬ments. The first of these elements was a particular type of humanist moral theory that conceived of the highest good in terms of the fair satisfaction of human needs and argued that the development of a society which makes possible this fair satisfaction is an overriding moral duty. As the first step towards achieving this goal, the utopian socialists developed visions of ideal societies which were portrayed as “earthly paradise[s] ... in which man’s various needs, both physical and spiritual [would] find complete satisfac¬tion” (Taylor 1). To say that the utopian socialists shared this element is not, however, to say that they agreed as to what these human needs were. Fourier, for example, produced extensive lists of specific needs which he thought were grounded in fixed aspects of human nature (Fourier 215-24), while Saint-Simon and Owen understood human nature and its needs more abstractly as desires which, in part, were socially constructed and, therefore, subject to change through education (Taylor 54-62; Claeys xlvii; Owen 1: 41-42). Thus, while Fourier sought to devise a society that could fairly sat¬isfy these relatively fixed needs, Saint-Simon and Owen sought to devise a society that would shape needs in such a way that they could be fairly and efficiently satisfied. These plans for ideal societies were put to two uses. On the one hand, they were used as action-guiding goals—as blueprints to be realized. On the other hand, they were used as standards by which to meas¬ure and criticize existing society (Lichtheim 3-14). The utopian socialists also agreed on a second element: their proposals must be based on a social science closely modeled on the recently devel¬oped and highly successful natural sciences. Indeed, it was because they believed that their proposals were grounded on a scientific analysis of human nature and social processes that the utopian socialists felt they could reject the charge that their ideas were ‘merely utopian’ (Taylor 2). Unfortu¬nately, as Marx would point out, this grounding was more asserted than real. Saint-Simon, who, of the group, had the best grasp of contemporary science, believed that his social doctrines could be grounded on physiologi¬cal principles, but he did not actually attempt this reduction (Saint-Simon 111-23). Fourier and Owen, on the other hand, generally limited themselves to the claim that their theories were based on a close and systematic obser¬vation of society, while Cabet tended only to pay lip service to this idea. Despite these differences, however, they all believed that their ideal soci¬eties were firmly grounded in scientific theories. Saint-Simon, Fourier, and Owen even felt justified in comparing their work to Newton’s, claiming that they were merely applying his substantive ideas and his methodological approach to the understanding of society (Manuel and Manuel 584). Finally, the utopian socialists believed that, in order to realize their various visions of an ideal society, it would be helpful to construct small scale socialist communities to demonstrate empirically that their ideal societies were both possible and desirable. Therefore, they designed or described a number of small communities that incorporated their ideas. These descriptions, in turn, inspired the construction of a number of short-lived utopian communities—whose failures seemed to prove the opposite thesis. Moreover, as Marx and Engels often noted, the description and construction of these demonstration communities often diverted the utopian socialists from more direct—and possibly more productive—political activities. Beyond these moral, methodological, and political similarities, the utopian socialists disagreed on many points. However, these disagreements are of less interest than the similarities which drew Marx and Engels’s critical attention: basing their arguments on a type of humanistic moral theory combined with a rudimentary form of social science, the utopian socialists advocated a more cooperative society that would fully and fairly satisfy human needs. Although occasionally drawn into flights of fantasy, the utopian socialists developed what many thought to be an admirable approach to social theory and political practice. In particular, Marx and Engels explicitly and repeatedly stated that they owed a great debt to the utopian socialists, who, according to Engels, are to be “reckoned among the most significant minds of all time” (The Peasant War in Germany 33). As I argue below, Marx and Engels incorporated a number of the proposals first made by one or another of the utopian socialists into their own description of an ideal society. In addition to these particular proposals, however, Marx and Engels took from the utopian socialists a specific conception of what it was to be a politically engaged utopian thinker, from which a working definition of (political) utopianism can be derived. on this view, is a political project involving the description of an ideal society to be used both as a goal to guide social reform and as a normative standard to critically evaluate existing societies. This ideal society cannot be pure fantasy, but must be both scientifically and morally justified; that is, not only must Utopians demonstrate scientifically that their societies are possible (i.e., con-sistent with both human nature and any unchangeable social realities that may exist), but they must also demonstrate that the various elements and institutions that constitute their utopian societies are morally required. In support of these arguments, Utopians may construct small-scale demonstration projects to show that their ideal is both plausible and desirable. This definition of utopianism is, of course, itself cast in terms of an ideal and it is possible to be a utopian without developing a complete description of an ideal society, a rigorous argument demonstrating that the proposed ideal is actually achievable, or a fully-developed moral justification. Eventually, however, if these failures become severe, the thinker ceases to be a utopian and becomes something else (a novelist? ); but as long as a writer intends to develop a (political) utopia, he or she can be criticized for any of these failings—and Marx and Engels, as we shall see, did just that. a dynamic utopia, a utopia that is constantly changing as a result of the development and dialogue of its inhabitants. 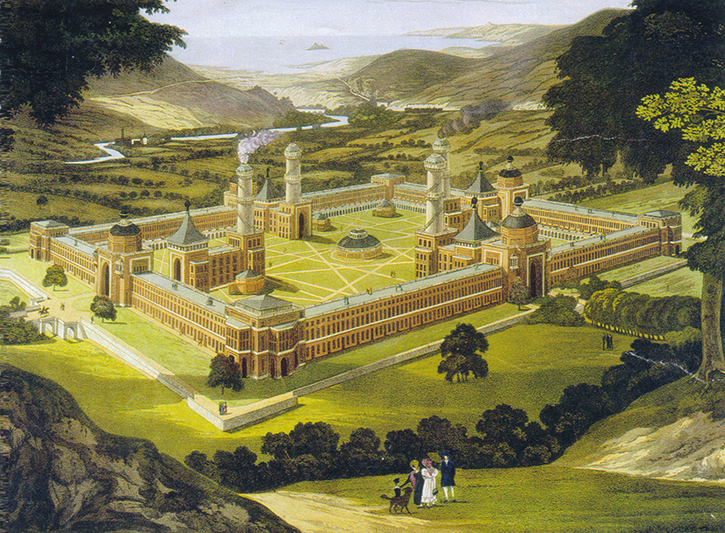 While Marx and Engels favored this type of utopia, they were opposed to all static utopias and, therefore, to all attempts to describe the ideal society in detail.